Here in Portland, the last few weeks have had much more winter than we’re used to. It’s settled down to our typical rainy days, but we were struggling for a very long time! Because of the super chilly weather, I’ve been making great use of my knitted projects. 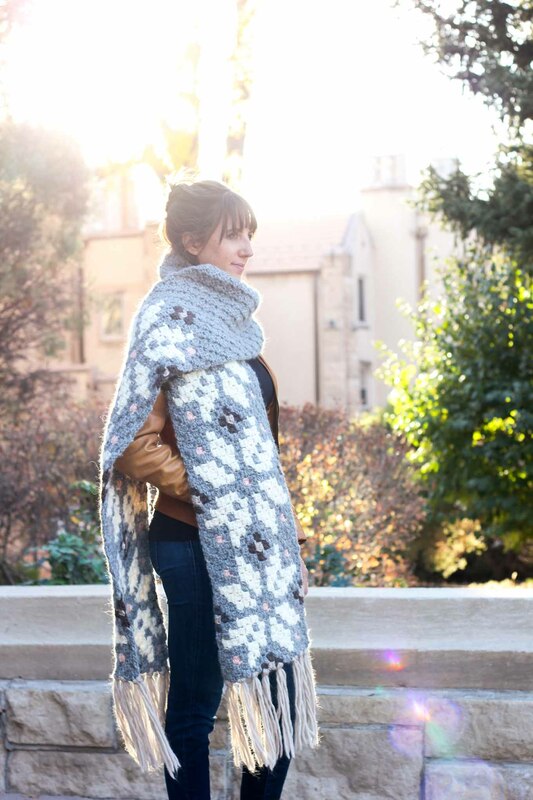 Make some of your own to stay cozy all winter long! Cables make a thicker knitted fabric, which helps create an even cozier scarf. I love the striped pattern and fringe on this scarf, and that it’s so easy to customize! 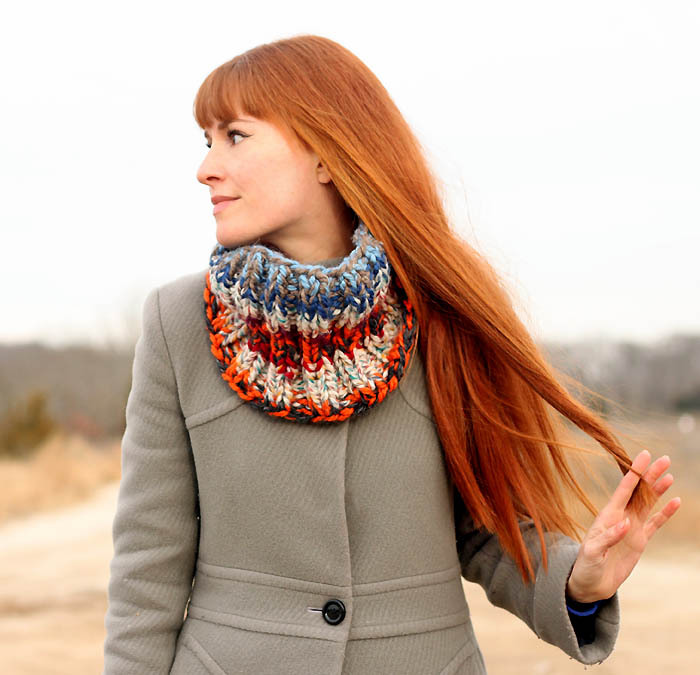 Use up your chunky yarn scraps to create this super cozy and colorful cowl. 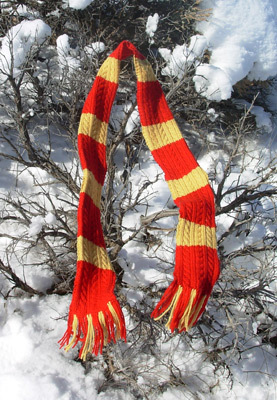 It’s knit with 2 strands of chunky yarn, so it’s super thick to keep you warm. Make your knit and crocheted hats even cozier with a fabric lining. This is perfect for more decorative hats that look nice, but have holes or spread out stitches. I don’t think anything looks cozier than a giant blanket scarf. It’s a great way to stay warm and make a big statement. It can even keep you warm while you’re inside, use it as a blanket! 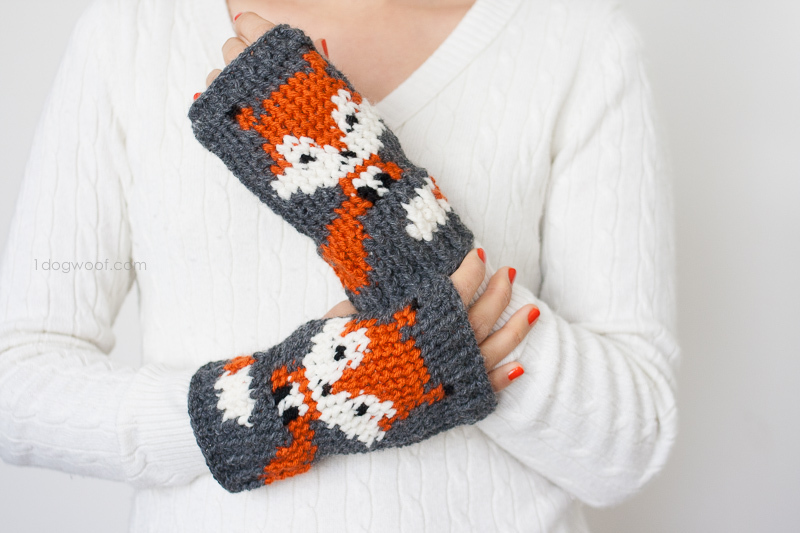 Keep your hands warm and looking adorable with these crocheted fingerless gloves. Seeing these on my hands while I’m freezing outside would definitely add some sunshine to my day. If you’re in need of some extra cozy accessories to get yourself through the winter, check out even more ideas at our Craft Trends Pin Board! This entry was posted in Craft Trends, Knitting and Crochet, Winter and tagged Cozy Crafts on January 21, 2017 by Joselyn.